With my day job, I travel a lot around Southwestern Ontario. The past few days, I have been around Lambton-Kent County which has included Chatham, Blenheim, Ridgetown, Forest and Petrolia. I look forward to venturing into these oases every year because they are places I don’t get to very often in my everyday life. They are truly treasures to visit especially in the fall with the background of the vibrant fall leaves. These are also places that are rich with rural culture. Farms, history, welcoming villagers and quaint little shops or attractions await guests, each with their own energy and allure. In Petrolia, I love the conservation area. There is a lot of space and trees. During the week, when school is back in, it is serene. I have down time in between appointments when I am travelling and I love to sit at the conservation area with my laptop and hear the peacefulness of the fall leaves sauntering to the ground. 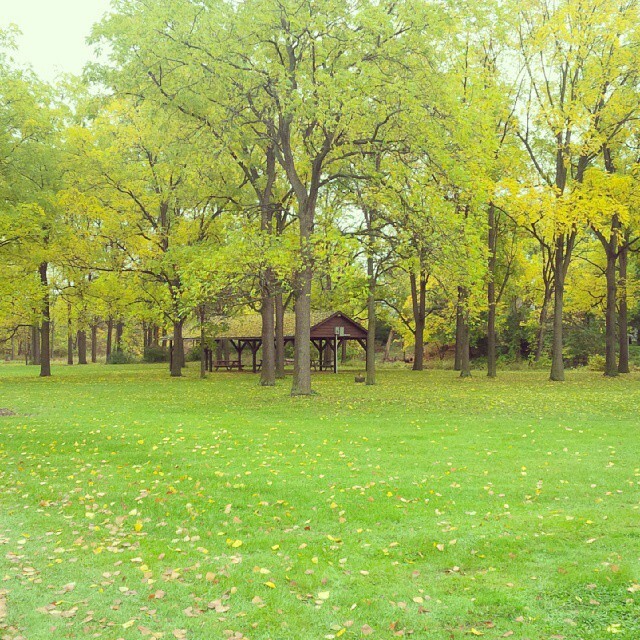 This is just one of 12 parks situated throughout the town. Petrolia is also full of beautiful architecture. I took this picture of the Victoria Hall. It is one of my favourite buildings. I followed up with some research and learned that the building’s architect was George Durand of London. His name is attached to many buildings in Southwestern, Ontario including churches, schools and residences. Victoria Hall was built in 1889 during an oil boom. Petrolia was one of the first oil “boom towns” in North America. With the oil came money and with the money, came fantastic buildings like this one and many others that are still in existence today. 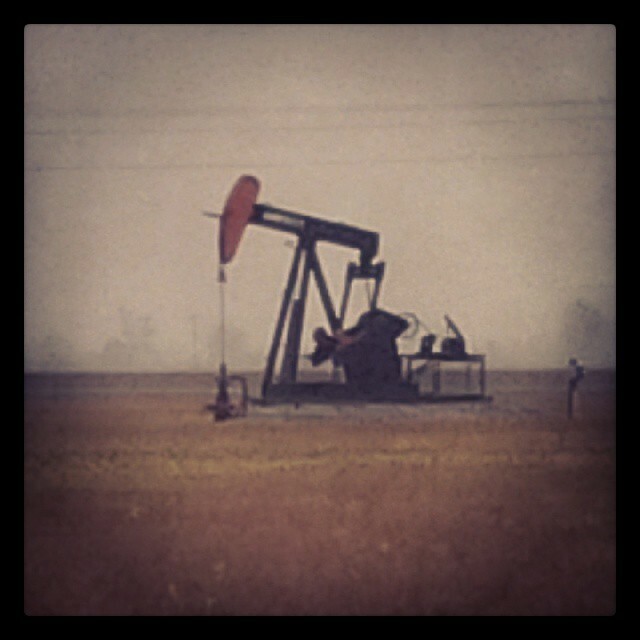 Although oil here is no longer considered “booming”, there are still active oil pumps . I grabbed a shot of that too. I’ve read about the “Petrolia Discovery” which is a historical site that takes visitors back to a 19th century oil experience. Having learned that, I think I just found an activity to take my family to next summer since it is a seasonal experience. Can’t wait. You might want to check it out too. If you have ideas about other places to visit in Southwestern Ontario, please let me know. I’m always up for a local adventure! “Biographical Dictionary of Architects in Canada 1800- 1950.” Verity Griscti & Joshua Hull. Accessed October 4, 2014. http://www.dictionaryofarchitectsincanada.org/architects/view/1653 . Eberspaecher, Alex. “Petrolia: Ontario’s Black Gold Country.” Good Life: Mississauga’s Fine Living Magazine. Accessed October 4, 2014. http://goodlifemississauga.com/archive_gl/2007gl/petrolia.html . “Petrolia Discovery.” Ontario Museum Association. Accessed October 4, 2014. http://www.museumsontario.com/en/58//88?searchFor=1696 . “Petrolia, Ontario.” Southern Ontario Tourism. Accessed October 4, 2014. http://www.soto.on.ca/canadas_most_southern_point/petrolia.html . “Petrolia, Ontario.” Wikipedia: The Free Encyclopedia. Last modified October 1, 2014. http://en.wikipedia.org/wiki/Petrolia,_Ontario . Tausky, Nancy Z. “George F. Durand.” London Culture. 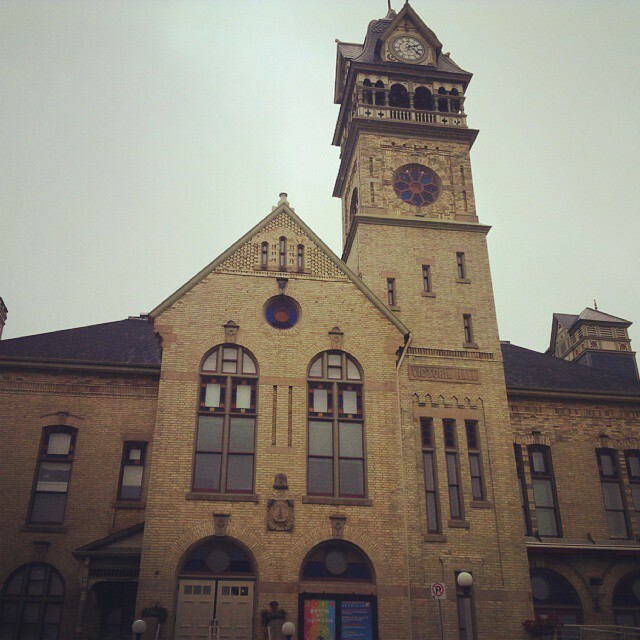 Accessed October 4, 2014. http://www.londonculture.ca/things-we-do/culture-directory/historic-favourites/george-f-durand . The Corporation of the Town of Petrolia. “Victoria Hall.” This is Petrolia. 2013. http://town.petrolia.on.ca/victoria-hall.html .